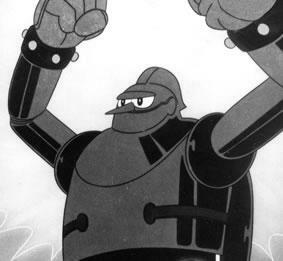 Cartoon network will begin airing episodes of the classic cartoon Gigantor. The show will air at 5:30 in the morning on November 1 so make sure to set your TiVo because you probably won't be awake. He's bigger than big baby! In the meantime you can listen to the Dickies version of the title song on the Great Dictations or Dawn of the Dickies CDs.